How do I know if I need the VBeam? 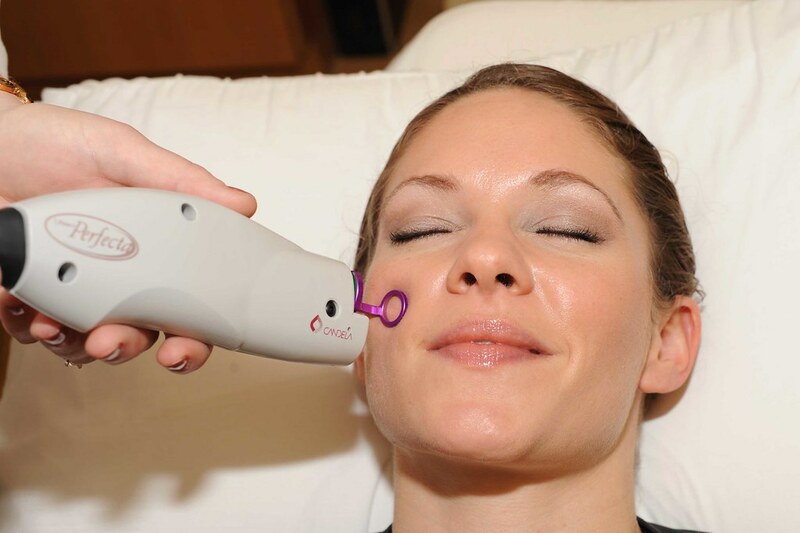 If you have too much redness due to dilated blood vessels in your nose, cheeks, chin, or other parts of your face, you may benefit from treatment with the VBeam. This includes, but is not limited to, the redness of rosacea. The VBeam is also good for removing angiomas, small red clumps of blood vessels. Red birthmarks, called port wine stains, can be treated with the VBeam, as can stubborn warts, scars, and bruises and sun damage on the neck and chest. The VBeam laser is not appropriate for pregnant women or patients who have taken Accutane for the past six months. Persons with a history of cold sores or herpes simplex virus should not have this procedure until they are pre-treated for these conditions. VBeam is not painful enough to require anesthesia. The short pulses feel like cold and hot snaps on the skin. A stream of cold air directed at the treated area helps to minimize discomfort. In rosacea, you can anticipate 50% to 75% improvement after 3 to 5 treatments. Since rosacea is a chronic condition we recommend 1 to 2 maintenance treatments per year. Port wine stains require more than 5 treatments. Be sure to tell the provider if you have a history of cold sores on herpes simplex because laser energy may activate the virus. Otherwise no preparation is necessary. The VBeam is one of the safest lasers that are in existence. Scarring, infection, and blistering are very rare. Bruising is the most common side effect, and usually we know that is going to take place due to a very large vessel or a clump of many vessels and we can predict that in advance most of the time. It is important to wear the eye protection that we provide throughout the treatment to shield your eyes from the light. Without the eye shields, serious damage to the eyes can occur. Yes. VBeam treatment can be combined with most other treatments. If you combine botulinum toxin or injectable fillers with the VBeam, the laser treatment is done first. The treated area will look more red and swollen for a few hours or, in unusual cases, up to several days. Bruising may occur when very large blood vessels, port wine stains, warts, or scars are being treated. How much does the VBeam cost? The cost depends on the area treated and the number of treatments. A single treatment costs $350 to $800. Three to 5 treatments are usually needed to achieve optimal results. To learn more about VBeam, please call 847-459-6400 or contact us to make an appointment with one of our cosmetic coordinators.